← Students walk out for gun control; schools teach….compliance?…engagement? 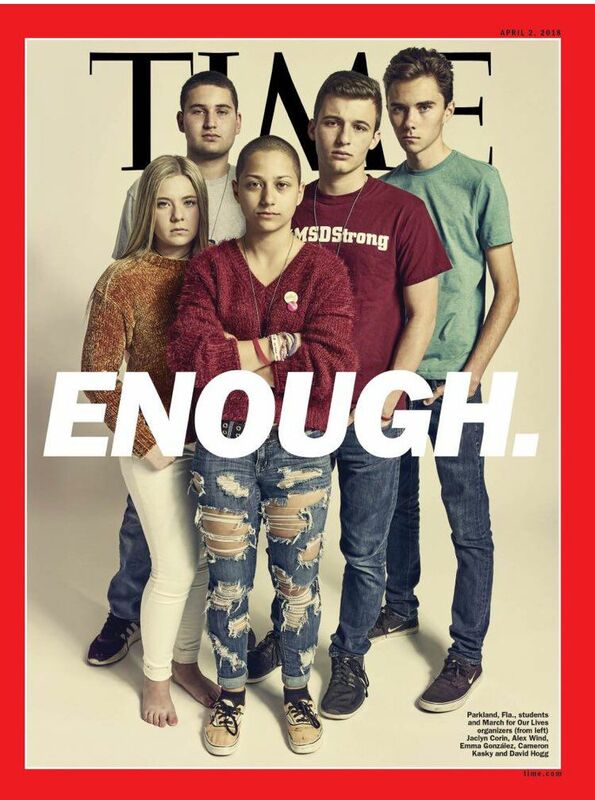 Five of the brave and savvy Parkland kids are on the cover of Time magazine, a cover unlikely to appear in a frame on Donald Trump’s wall. On the eve of this weekend’s March for Our Lives, a national demonstration supporting modest gun control measures, the kids are already making an impact. 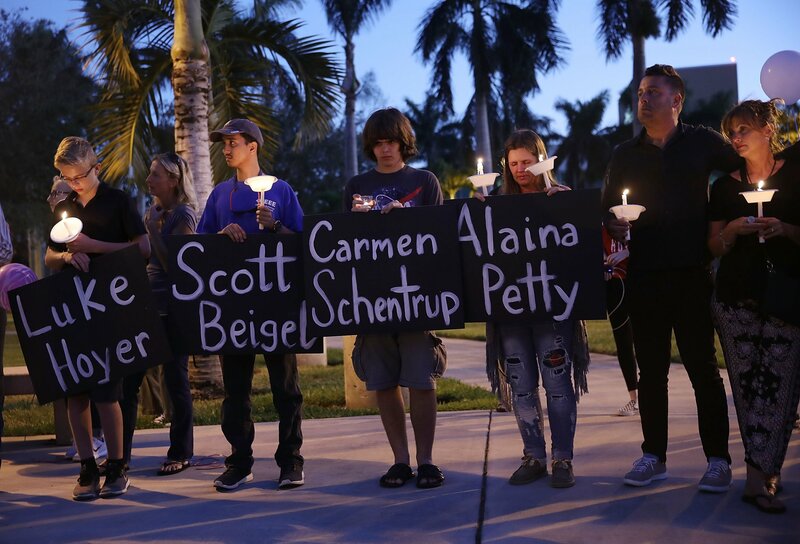 In Florida, which has been an extremely congenial setting for gun rights advocates over the past two decades, government responded to the school shooting and the kids’ efforts by changing the laws….a little. On March 9, 2018, Governor Rick Scott signed into law a bill that makes it a bit more difficult to buy a gun. The new law raises the age for legal purchase of a rifle from 18 to 21 and institutes a 3 day waiting period for most gun buyers. It also prohibits the sale of “bump stocks,” which allow a semi-automatic weapon to function more like an automatic weapon and fire multiple rounds more quickly. Far less than what the Parkland kids wanted, it was also a greater concession than gun rights supporters imagined they would have to make. The US Congress is about to pass an omnibus spending bill that deals the NRA a double-barreled defeat on small issues that are likely to escape much national attention. First, the new spending bill deletes a provision passed by the House that allows a concealed carry permit issued by any state to be valid in every state. This would have meant that a permit issued in a state with few restrictions or checks, like Arizona, would be valid in more restrictive states, like California. The NRA supported the bill, and House conservatives are outraged that they’ve lost on it…for now. Stopping the other side from making gains is also a victory, even if it doesn’t always feel like one. Also important, the spending bill clarifies that a restriction on gun violence research implemented two decades ago does not restrict public health research on gun violence. In 1996, a Republican Congress passed a spending bill that prohibited the Centers for Disease Control from promoting restrictions on guns and cut $2.6 million from the CDC’s budget. All concerned viewed the Dickey amendment as the death knell for federal funding on gun violence. Small victories matter in a long political battle, moving the policy debate in inches over time. The challenge, for gun rights advocates, is to get their supporters outraged over any encroachment. The trick, for the Parkland kids and their allies, is to find and claim such victories, gracelessly, and demand more. This entry was posted in Uncategorized and tagged #NeverAgain, AR-15, assault weapons, Center for Disease Control, concealed carry, Florida, gun control, guns, Jay Dickey, March for Our Lives, NRA, Parkland, Rick Scott, schools, youth. Bookmark the permalink.